For all outdoor activities, our first-aid backpacks and bags are the ideal solution for greater safety: small and light, made of hard-wearing and weather-resistant materials and able to be attached quickly and securely to your equipment, beneath a bicycle seat or to a motorcycle! This ensures you will be best prepared when on the go. 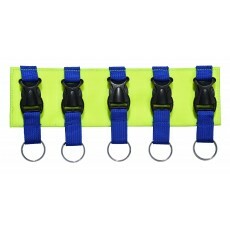 Our rescue backpacks are designed by professionals for professionals. They allow even extremely extensive first-aid equipment to be transported with ease to the accident scene, however inaccessible this may be. With this hands-free product, the contents are always optimally protected and ready for use when required, even under extreme weather conditions and in extreme environments. 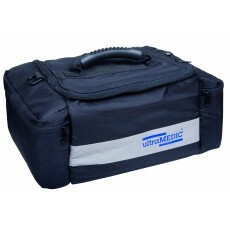 Our assortment of emergency first-aid backpacks and bags ranges from small versions for private use right through to specialty bags for carrying ampoule strips, oxygen bottles and medical equipment. 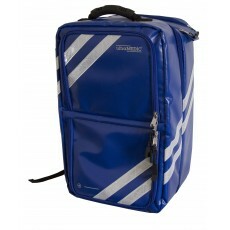 The internal partitioning of each backpack is adapted according to the area of application. In order to further improve the flexibility and versatility of our backpacks with regard to their usage, we have developed a range of inserts, which can be promptly secured and replaced according to requirements. Special contents such as ampoules or tools are optimally secured and better protected against external influences.